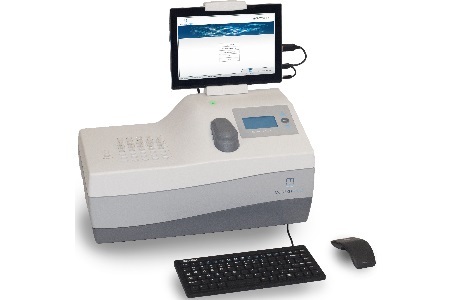 Designed for rapid toxicity screening in demanding drinking, industrial and wastewater applications, Modern Water’s new Microtox LX Series is the next generation of laboratory-based acute toxicity analyzer. Combining Modern Water’s proven M500 technology with improved features such as increased sensitivity and automatic color correction, Microtox LX can provide fast, reliable and reproducible results in as little as 15 minutes after sample preparation - compared to conventional tests that can take up to four days. The new Microtox LX Series can provide vital protection of drinking water supplies from accidental or deliberate contamination via its biological early warning system that is sensitive to more than 2,700 simple and complex chemicals. To ensure compliance with regulatory and effluent permit standards in wastewater applications, test results are highly correlated with other widely accepted toxicity test methods. Manufactured in a certified ISO 13485 quality system with 100% lot trace ability, this very latest Microtox innovation bears all the hallmarks of Modern Water’s 30-years-plus of trusted expertise in toxicity analyser technology. The LX Series incorporates the use of a new proprietary, fully dynamic photo multiplier that increases the sensitivity of the instrument, whilst a new automatic color correction feature adjusts test results based on the sample’s color and/or turbidity.